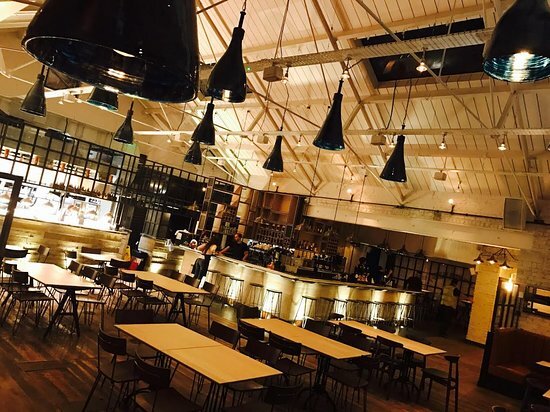 The revamp and relaunch of Altrincham’s Grade II Market House in 2014 paved the way for a host of entrepreneurial eateries to find a home and loyal following in our beloved market town. As a result, Altrincham has become famous both locally and nationally for its inspiring and innovative independent food offering. Altrincham has a host of charismatic little cafés to choose from, and here are four independent outlets that are loved locally for their brilliant brunch. Bon appetit!. One of the many reasons Oxford Road Café is so popular is the sheer size of its menu. You can go for traditional but tasty omelettes, sandwiches and salads, or you can be a bit more adventurous with stunning courgetti dishes and mouth-watering burritos. It’s entirely up to you! With an average of 4.5 stars on trip advisor (and 170 people giving it 5 stars) Oxford Road Café is a hit with the Altrincham locals. And we’d recommend it too! Altrincham’s Con Club is a meat-lover’s dream. This independent restaurant serves meat cooked to order on their smoky charcoal grill, and if you’re looking for something a little bit different for brunch you can try their fresh seafood, sushi and sashimi from the popular raw bar. As well as these wonderful Con Club classics, you can tuck into a traditional brunch of avocados, eggs, salmon, pancakes and more! All of these dishes are prepared with the finest quality ingredients – try them out for yourself! Gran T’s Coffee House is one of those establishments that feels a bit like a warm hug. As you walk in you get greeted by the always-friendly staff and then you take in the surroundings of plush arm chairs, open fire places and exposed brick walls. The café serves a medley of foods, from your standard full English to your avocados, salmon and asparagus – oh, and it has a 5-star rating from the food standards agency. So if you’re looking for delicious, perfectly cooked food in a cosy environment, choose Gran T’s. Rhode Island Coffee’s main aim is to have you feeling at home. With a love of hearty food and an ethos of just being friendly (how refreshing! ), Rhode Island is a signature brunch-time treat in Altrincham. Their signature plates are sandwiches and hot paninis. Finely crafted and made fresh in front of you, these midday treats are a thing of beauty – they couldn’t have won the Coffee Bar Sandwich Retailer of the Year Award from the British Sandwich Association with anything less! So pop on down, take a book or the morning paper and tuck in to the delicious array of sandwiches and hot paninis with a nice hot brew. Altrincham has always been at the heart of Greater Manchester’s food offering, and with unique independent cafés like these, we’re sure it’s going to stay that way. Don’t forget, it’s also home to an award winning Altrincham Market House; another fantastic spot for fine cooked food and drink. If you’re considering moving to Altrincham why not take a look at the range of one and two bedroom apartments on offer at Altair, Altrincham’s exciting new living and lifestyle quarter. Give our friends at Gascoigne Halman a call on 0161 929 1500 to find out more. Don’t forget to follow us on Twitter, Facebook and Instagram to stay up to date with Altair and Altrincham.